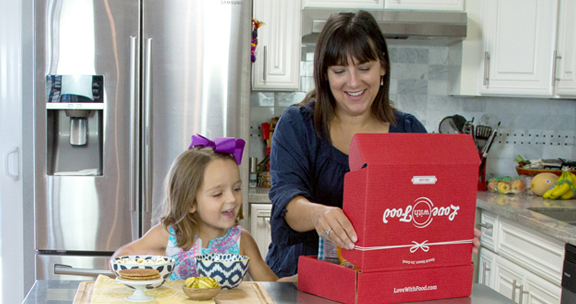 Delicious, better-for-you snacks delivered straight to you. Curated snacks always made with real ingredients and no added chemicals. Gluten-free options available. For every box we send to you, Love With Food donates at least one meal to American families in need. Discover high quality products you love before committing to full-size pricing! No more trips to the store or searching online. Expert curations and exciting variety come directly to you. Tasty products always made with real ingredients and no added chemicals. Gluten-free options available. Get the latest emerging food brands delivered right to your door with home delivery available worldwide. Our team scours hundreds of brands every month and chooses the best tasting, feel good options for your box. Say goodbye to boring grocery selections and start discovering food you love!